This offer is for a 2 bedroom unit with a full kitchen sleeping up to 6 people. 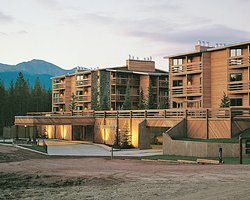 Silverado II is two miles from the Winter Park/Mary Jane ski area. Other activities include skiing, snowboarding, and sleigh rides. 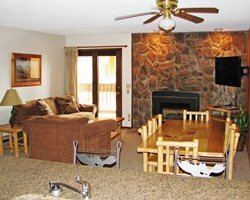 There is a free shuttle during ski season and an on site ski shop as well as a restaurant, garage and ballroom. Summer brings white-water rafting, hiking, horseback riding. Tee up at the Pole Creek Golf Course, 10 miles away or see the Rocky Mountain National Park, 30 miles, or take a boat out on Lake Granby. For more information: www.silverado2.org, www.winterpark-info.com, or www.skiwinterpark.com. (mid-April to Mid-June; Sept to mid-Nov). There Are Stairs Leading To Most Units, No Elevator On Site. No R V Parking On Property, Nearest Is Downtown. No Pets Allowed At Resort. Conditions. Call The Resort For Anticipated Dates.